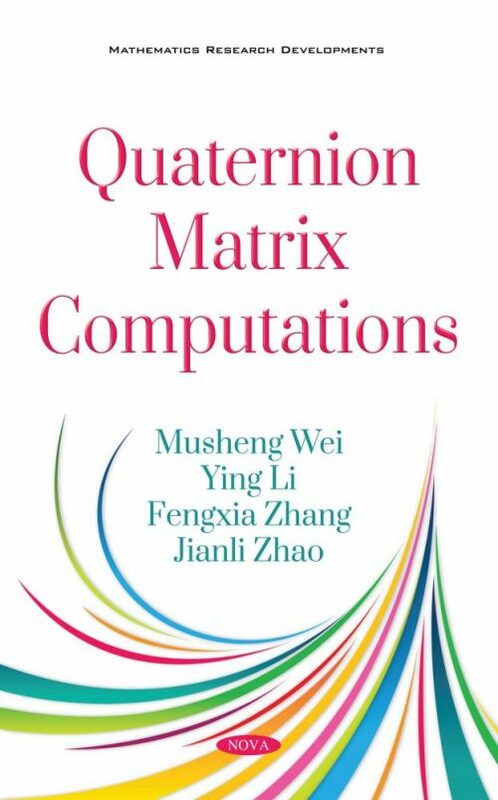 In this monograph, the authors describe state-of-the-art real structure-preserving algorithms for quaternion matrix computations, especially the LU, the Cholesky, the QR and the singular value decomposition of quaternion matrices, direct and iterative methods for solving quaternion linear systems, generalized least squares problems, and quaternion right eigenvalue problems. Formulas of the methods are derived, and numerical codes are provided which utilize advantages of real structure-preserving of quaternion matrices and high-level performance of vector pipelining arithmetic operations, using Matlab software. These algorithms are very efficient and stable. This monograph can be used as a reference book for scientists, engineers and researchers in color image processing, quaternionic quantum mechanics, information engineering, information security and scientific computing. It can also act as a textbook at the graduate level in related areas. Keywords: Quaternion matrices, real structure-preserving, quantum mechanics, color image, color watermark. Audience: Scientists, engineers and researchers in color image processing, quaternionic quantum mechanics, information engineering, information security and scientific computing, or graduate student level in related areas.